GoPoster is part of GoMEDIA, Co-founded in 1994 by Alan Wolan, Natalia Swan, Craig Singer and Brad Essex. GoMEDIA is the only full-service provider of place-, object- and event-based media solutions with a specific market focus on the non-traditional or “guerilla” delivery of advertising and marketing messages. 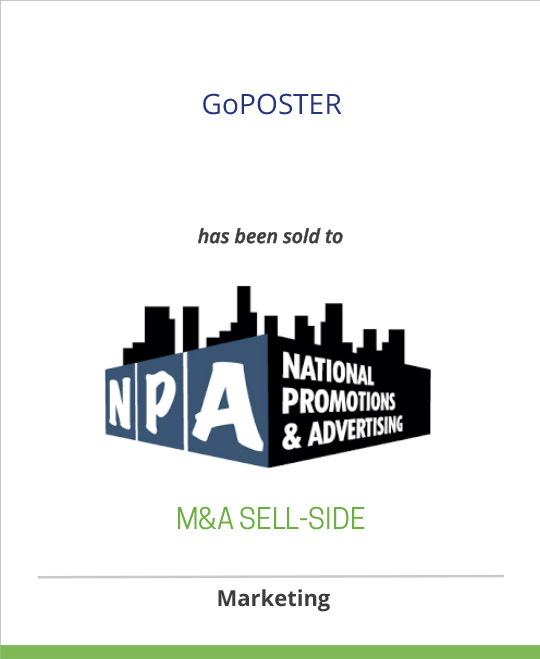 GoMEDIA comprises GoCard LLC and GoPoster LLC. GoMEDIA and its divisions comprise the most well-known and well-respected brand in non-traditional advertising – evidenced by the fact that its list of clients is a virtual who’s who of the world’s leading marketers, including some of the most recognizable names in media, consumer products, retail, and financial services, such as: ABC, Fox, Yahoo!, Sony-Ericsson, Ikea, Warner Brothers, Delta, Volvo and HBO. NATIONAL PROMOTIONS & ADVERTISING, based in Los Angeles and New York, is a leader in outdoor and street advertising services. Its Wildposting outdoor advertising services are planned and organized to deliver the kinds of efficiencies that clients expect from traditional advertising. In 25 markets nationwide, WILDPOSTING goes for the best locations, where street traffic is at its highest and visibility is most intense. Wildposting posters are placed virtually anywhere – at construction sites, on framed street level boards, areas of renovation, on scaffolding, gates, fences, and barriers. Markets include : Manhattan, Portland, Miami, San Francisco, New Orleans, Chicago, Sacramento, DC/Baltimore, San Diego, Boston, Raleigh/Durham, Philadelphia, Orlando, Houston, Nashville, Dallas, Austin, Detroit, Phoenix, Atlanta, San Antonio, Cleveland, Denver and Seattle.